Improving your landscape is a great way to make your property more attractive and valuable. However, if you are only able to appreciate it during the daylight, landscape lighting is the perfect accent to improve your nightscape appearance. 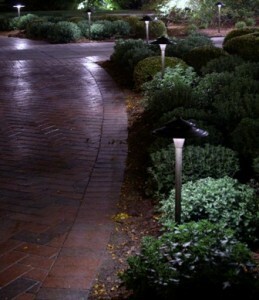 The design of the lighting system is completely customizable to any landscape. Using the latest product technology, we will work around your budget and your needs to design a system that will show off your landscape all day and night.